Now, when you think of drug resistance, you might immediately think of antibiotics. But even antifungal medications are failing, researchers have been finding. And this particular fungus, Candida auris, has been making doctors and scientists very nervous. Many people already have Candida in their bloodstream. The run-of-the-mill version of the fungus is responsible for thrush on the tongue and vaginal yeast infections. Under normal circumstances, Candida is relatively easy to get rid of and causes little harm – mostly discomfort. Regular Candida is also not known for spreading in hospitals and other personal care settings, but C. auris is the exception to the rule. The U.S. Centers for Disease Control and Prevention (CDC) says that C. auris can spread throughout healthcare facilities by lingering on surfaces and medical equipment, and it can be passed from person to person. Send the Samples to the CDC! When samples of the fungus are sent to the CDC, they are often found to be resistant to 1 or 2 antifungal drugs. However, it can become resistant to another drug while a patient is being treated. As of February 28, 587 clinical cases of C. auris had been confirmed in the United States, according to the CDC, most of them in New York, Illinois, and New Jersey. The majority of those affected by C. auris are chronically-ill people who acquired the fungus in long-term care facilities, Dr. Susan Bleasdale, director of infection control and antimicrobial stewardship at the University of Illinois Hospital and Clinics, said. So far, most of the cases Bleasdale has seen were able to be treated with common antifungals. However, she emphasized that the presence of C. auris is further proof that antifungals and antibiotics must be used more judiciously. Currently, 2 million people are afflicted with superbugs each year in the U.S., and at least 23,000 of those infections prove fatal. 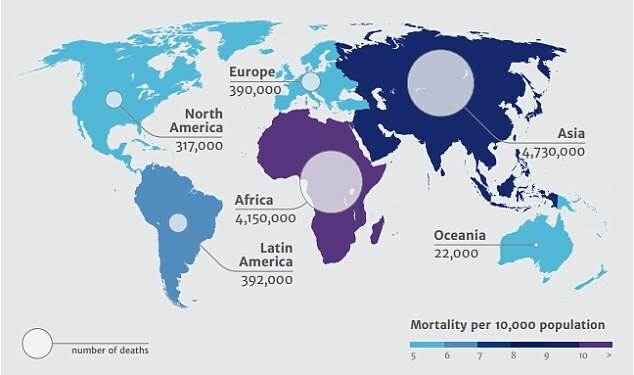 Globally, superbugs strike 700,000 people. But that number could spike to as many as 10 million per year by 2050 if more is not done to tamp down on the problem. 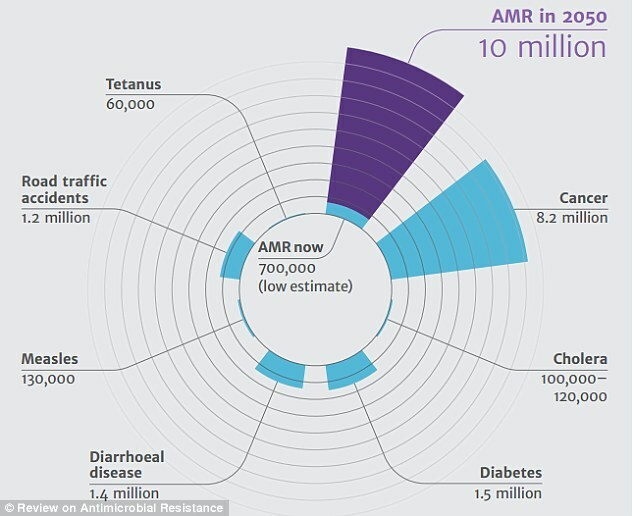 While the estimate is based on a small number of cases, some 30% to 60% of people infected with C. auris have died. People with weakened immune systems are the most susceptible to Candida auris, particularly if they were exposed to the fungus in long-term healthcare settings. Diabetes, previous surgery, and exposure to multiple antibiotics and antifungals also increase a person’s risk. New antifungal drugs are currently being tested and show promise in killing C. auris.